There is an absolute blanket ban on spoilers of any kind in this thread. If it has not been revealed in the TV show, then it is not to be mentioned in this thread. All posts containing such spoilers will be deleted and there may be other consequences too. Think this deserves a thread of its own as I'm sure there are plenty of fans of the books out there. Sky Atlantic shows first episode on Mon 18th April at 9pm. Starts in the U.S on the 17th. Game of Thrones is an upcoming American medieval fantasy television series created by David Benioff and Dan Weiss for HBO. 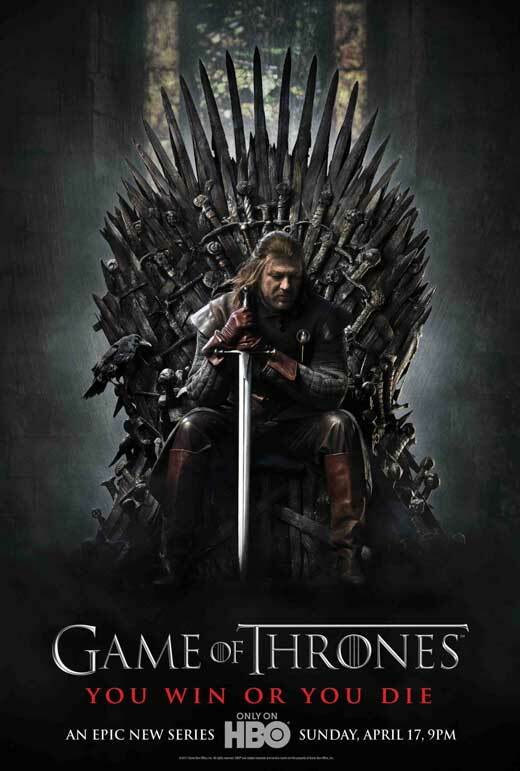 The series, based on author George R. R. Martin's best-selling A Song of Ice and Fire series of novels, chronicles the violent dynastic struggles among noble families for control of the Iron Throne of Westeros. Almost US pace, Sky Atlantic starting to show promise for you guys. Should probably have spoiler alert in the thread title as some following US pace will probably want to comment before it's on in the evening in the UK. I've never been too fussed about having Virgin rather than Sky, but lately I've just been seething. Sky Atlantic just looks awesome and this in particular looks really good. Gonna have to find a way to watch it I think. Aye, I'll be watching this on the Monday/Tuesday off Atlantic like. The book is immense, looking forward to the adaptation. Not sure on Sean Bean though, just can't look past 'Angry Yorkshire Bloke' he plays in every film. I know it's not a movie, but if you're gonna mention Sean Bean's typecastiness, you've gotta be referencing Sharpe. I used to actually like Sharpe. The books are excellent. Series is ok, but watered down a lot for the lady viewers eyeing up Sean Bean. Interesting Sharpe fact for you, in the first books the character Sharpe was from London and there was no mention of Yorkshire at all. When Sean Bean was cast, and unable to portray a Londoner in any sort of convincing style, he decided to re-write the first couple to include Sharpe running away from his London orphanage as an 11/12 year old and working on a farm in Yorkshire till he joined the army (which he did as an alternative to going to prison). I know, you didn't want to know that, but now you do. Man, that's unreal. Sean Bean, man. The books are f***ing class. That is all. Last book is due out soonish too! Goldeneye? Angry Yorkshire Bloke from Russia with stupid posh accent. I just can't get into them. anyone watch it yet? 1st episode aired yesterday. Looks quality. C won't believe us. But this is classic him. There are two more after a dance with dragons. Luckily the next one has been written heavily already so there shouldn't be another 7 year wait. but because hopfully sky will stop advertising it every 5 minutes. Not impressed like, guess it was never going to live up to the book.